It’s not just the Governor’s Office, but both Chambers of the Vermont Legislature that matter even more than the Governor’s Office itself. Since 1992, both Chambers of the Vermont Legislature have been controlled by Democrats, and if Gun Owners are going to “take back Vermont”, than they have to elect actual, Pro-2nd Amendment Republicans to Bicameral Majorities in Montpelier, as Phil Scott is an “opportunistic” politician. He would sign a repeal of S.55 if a GOP Controlled Vermont Legislature were to send a repeal to his desk. So long as the Vermont Legislature is in Bicameral Control by the Democrats, there is a good chance that even if Vermont sends Phil Scott back to the Governor’s Office in 2018, Vermont will have Gun Ban Laws similar to New Jersey, or have a NY SAFE Act passed into law in 2019 or soon after. 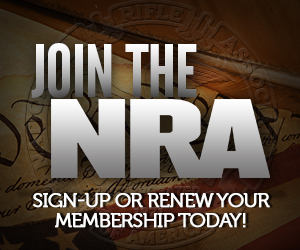 How many came out to get the free pre-ban magazines? I bet it was more than 150 folks. I hope they do it. Even if the Dem wins, what have they lost? Scott needs punished. I’ll often advocate holding one’s nose, but this isn’t one of those cases. Scott believes something Bloomberg’s people told him was true. He has to be relieved of that ignorance, along with any other politicians, consultants, and advisers who might want to start believing it’s true. If he won’t hang with us, hang him separately. Good luck and good hunting to you Vermonters. Go get ’em! Indeed. One of the most frustrating things about reading about politics in other States is seeing action that needs to be taken, but to be unable to take that action yourself, because you are an outsider to the situation. Go, Vermonters, Go! I wish I could be with you! You know what you need to do, though! Yep, local groups should get better at organizing for external help. I was thinking about sending money toward Oregon the other week, but frankly it was a bit unclear to me where to send that money such that it would be put to good use fighting the upcoming ballot measure. Joining their local group may not do it, they have a political action fund they says goes towards politicians, etc. Anyway, I’m sure I can figure out the Oregon thing with a bit more work, but local groups could get more assistance if there was a common framework for saying, “here’s our problem du jour, here’s where to donate to help us fight it”. Another Governor Scott needs his Senate career ended before it starts.